"I am not confident. I cannot find the word in English, but let's see what happens." Jose Mourinho says he is "not confident" David de Gea will extend his Manchester United contract, but has urged the club to keep him. When asked if he was confident of keeping De Gea, Mourinho was unsure on whether the goalkeeper would stay with the club, but said he is not concerned by the situation. Stream the Super Sunday clash at Old Trafford live for a one-off payment of just £7.99. 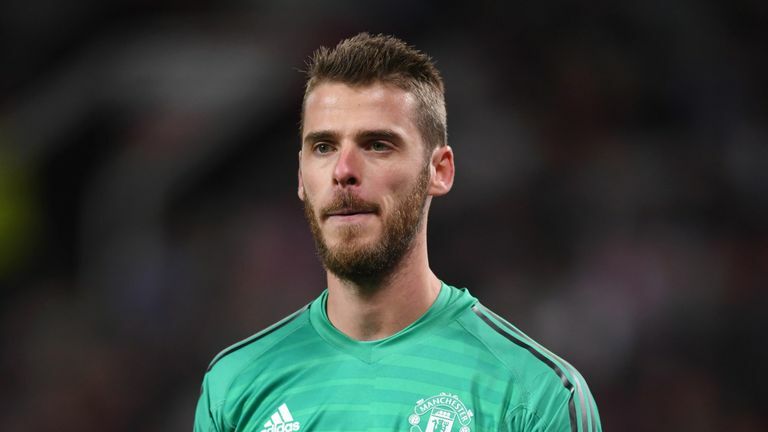 De Gea is one of 10 United stars whose deals expire next summer but Sky Sports News reported in the summer that the club were confident of tying the Spain 'keeper down to a new deal after Real Madrid - who had long courted De Gea's signature - signed Thibaut Courtois from Chelsea instead. Sky Sports News reported on Thursday that Anthony Martial - another player whose deal expires in 2019 - has rejected United's latest contract off but remain in negotiations in pursuit of an agreement. Luke Shaw recently signed a new five-year deal but doubts remain over skipper Antonio Valencia, Juan Mata, Ander Herrera, Ashley Young, Chris Smalling, Phil Jones, Matteo Darmian, Andreas Pereira. Manchester United welcome Everton in the Premier League live on Sky Sports on Sunday afternoon.